WELL, that seemed to go quite well. Lots of positive and encouraging noises from lots of people. A total of £220 raised for the Wiltshire Air Ambulance. I hope you all found some bargains and/or made a bit of pocket money. It was also very good to meet up with some old friends. A bit tight for space in the Scout Hall/Hut so it spilled over into the car park. Bigger venue next time? I won't be around to organise but it's terribly simple: 1) find a venue and book it, 2) publicise the crap out of it. So thank you to everyone who came today. But a specially *huge* thank you to Marjory Hatvany, Sean Watson, Simon Truelove and Adrian Rees who helped me enormously on the day. Also to a Tracy Nunn who occasionally took over admission fee duties and who disappeared before I could thank her in person. So THANK YOU. Chas. 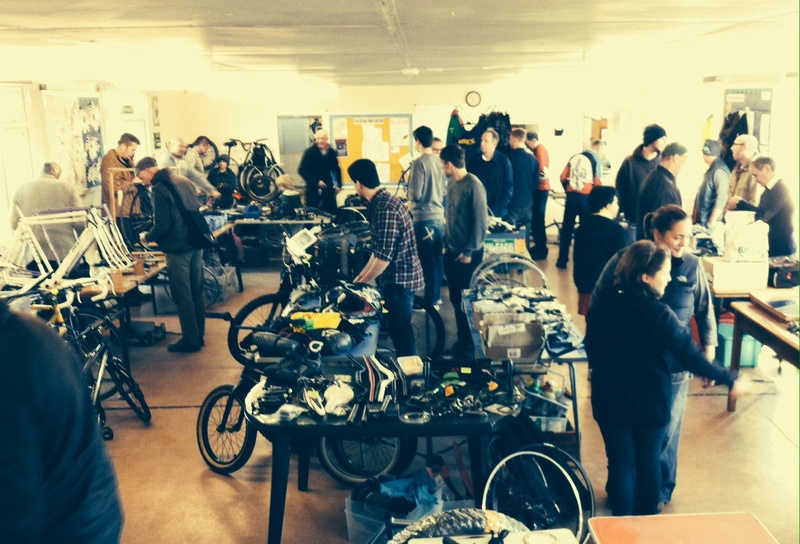 You are more than welcome to have a bike jumble at this years Wobble on Saturday 21st June Warminster town park.